Groundcovers are located in Greenhouses Number 1 and 3, and on large outdoor tables in Area 4. 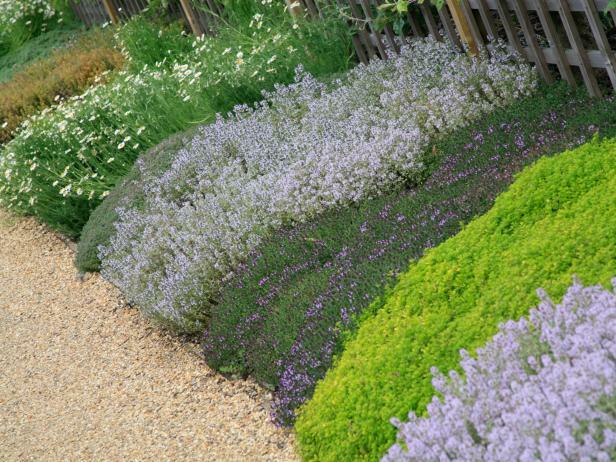 Our groundcovers are generally grown in small containers and available in large numbers. We can help you decide how many to plant on a site. We offer creeping raspberry, vinca minor, pachysandra, liriope, mondo, and many others, including our "Pathway Collection" line of groundcovers, which are plants that can recover quickly after foot traffic.